National Chengchi University is proud to announce the 3rd Conference on College English, a stimulating and rewarding academic forum for the presentation and discussion of College English issues. Under the heading College English, we include such programs as Freshman English and Practical English, and indeed any program at a university or college, in which English is taught to non-native speakers. 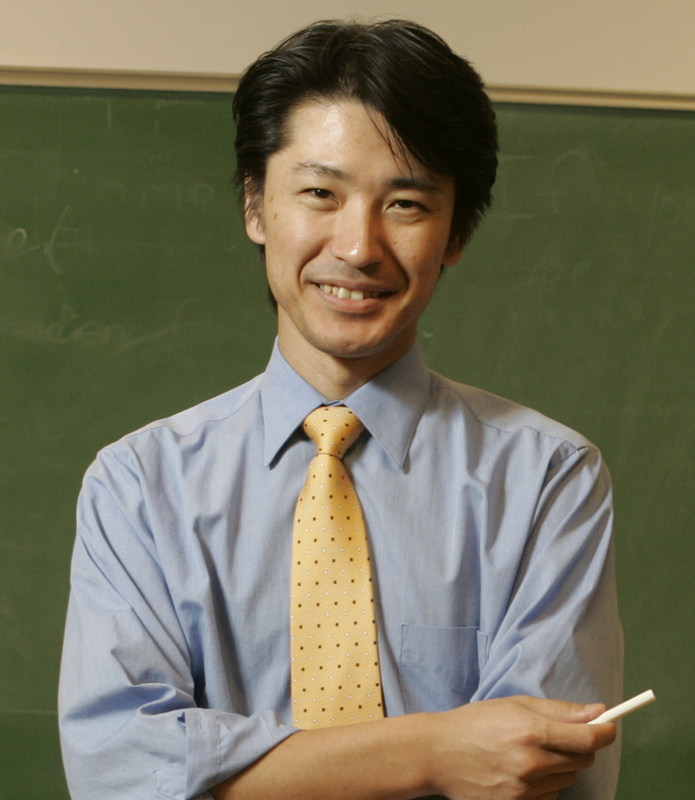 This year, we are pleased to welcome an international keynote speaker, Dr. Paul Kei Matsuda (see the Call for Papers for details). It is hoped that researchers and teachers outside Taiwan will also take the opportunity to offer papers. The conference has now become an annual institution, and this year it will build on the themes explored in the previous two conferences. In the first conference, topics included the role of College English as a General Education subject, and the concomitant expectation that we must go beyond the English teaching brief, and help our students to learn important life skills such as civic responsibility. Needed changes to College English curricula, due to the trend towards longer mandatory English programs at Taiwan universities, were also the subject of fruitful discussions. In 2008, the accent was again on the proliferation and growing importance of College English courses, and how innovative pedagogical research can support the changing expectations and needs of learners and other stakeholders. This year’s conference theme, Opportunities and Challenges for Teaching and Learning, is intended to reflect an even broader focus for discussion and presentation. Contributions on specific aspects of teaching any of the four skills are just as welcome as papers on more holistic approaches. Other areas of interest include cross-cultural issues, motivating less enthusiastic students, and handling large student numbers, as well as curriculum and policy issues, which might include the use of 1L in the classroom, Needs Analysis, and learner assessment, to name a few. The use of technology in teaching, including of course Data-Driven Learning and the use of corpora, is another fruitful area. Here are some further suggested topics. Do you have a thought-provoking paper you want to share with world? Are you looking to augment you graduate school resume? Or do you just want to be published? Whatever your motive may be, the Sparked Synapse Project is the ideal outlet for you to amplify your thoughts across ASU academic community. Any submission lacking this information will not be reviewed. The deadline for submissions is November 23rd at midnight. All submissions, as well as any questions, must be sent electronically to thesparkedsynapseproject@gmail.com. The Second Language Acquisition Program at the University of Iowa is calling for papers for the 2009 SLA Graduate Student Symposium. The graduate students at the University of Iowa and the University of Wisconsin–Madison have formed a partnership to host this annual conference, with organization and hosting of the conference alternating between the universities. Our purpose is to provide an opportunity for graduate students in SLA and related disciplines to present their work and meet distinguished researchers in their field. The theme of the 2009 symposium is "SLA in the 21st Century." We would like to present topics from a variety of areas that inform current and future trends in SLA research, including the following: generative, psycholinguistic, and social approaches, technology in language teaching, implications of SLA research for instruction, and others. We seek proposals from graduate student researchers, both theoretical and empirical, that reflect the differing perspectives and methods currently used in SLA research. The research may be interdisciplinary in nature. We are willing to consider pilot studies, pre-dissertation studies, or work-in-progress projects. We invite proposals for papers and posters from graduate students at any level of graduate study. All proposals must be original (i.e., not previously presented in public) and unpublished work. Paper presentations will be 20 minutes followed by a 10-minute discussion period. Poster presentations will be displayed at an hour-long session, during which poster authors will stand by their posters to discuss their work. Please submit abstracts by November 30, 2008 to: studorg-flares@uiowa.edu (only e-mail submission is accepted) Notification of acceptance will be sent by January 31, 2009. 7. Summary of the presentation, with a clear theoretical or empirical focus (no longer than 50 words). This summary will be included in the program booklet and cannot be subsequently revised. III. Please include an abstract as an attachment. The attachment must be a Microsoft Word document and may not exceed 300 words. Please place the title as the first line of the document. Neither your name nor your institution's name should be included in the abstract. Please contact studorg-flares@uiowa.edu with questions. This is the time of the year when people are thinking about applying to graduate programs, adjusting to graduate school, and applying for academic jobs. I have been mentioning a few of my blog entries that have to do with professionalization, so I thought it might be useful to highlight some of them here. The Call for Proposals for the 2009 Symposium on Second Language Writing, to be held at Arizona State University on November 5-7, 2009, is now available in PDF format. minutes), if interest warrants and sp a ce allows. with them in some way (see description below for suggested items). and "hands-on" practice - lasts 90 minutes. brief question and answer session follows each presentation. responsibility for hardware by the presenter will be needed. from the web and those that can be downloaded. The 6th TALGS (TESOL/Applied Linguistic Graduate Students) conference will be held on Saturday, February 21, 2009, at East Carolina University. Organized by the Linguistics and TESOL graduate students and faculty, TALGS is aimed at providing a serious yet relaxed environment for graduate students and professionals working in a variety of applied linguistics fields and TESL/TEFL to present their work, receive feedback, and network. This year’s plenary speaker will be a distinguished TESOL scholar and educator, Dr. Jodi Crandall of University of Maryland-Baltimore County, with a presentation entitled, Sharing Our Expertise: Working with Mainstream Teachers, and a discussion session on TESOL Standards. Please visit (http://core.ecu.edu/engl/talgs/conference/conference.htm) for more information. We encourage area-specific and cross-disciplinary submissions from a variety of fields that can contribute to an understanding of language use, language teaching and/or language learning. For instance, proposals from the fields of applied linguistics, sociolinguistics, sociology, discourse analysis, education, foreign languages, communications, and psychology will be considered. Proposals grounded in action research (inside and outside the classroom), works in progress, submissions based on successful term projects, and pilot research are welcome. Presentation proposals should be submitted via the conference website and received no later than December 7, 2008 (http://core.ecu.edu/engl/talgs/conference/proposal.htm). Conference pre-registration via the conference website ends January 18, 2009. Please view the attached flyer and, if possible, share this information with your colleagues and graduate students.